Gerard "Gerry" Marsden MBE (born 24 September 1942) is an English musician and television personality, best known for being leader of the British Merseybeat band Gerry and the Pacemakers. 2 He was awarded the MBE (Member of the Order of the British Empire) in the 2003 Queen's Birthday Honors List for his services to charity in Merseyside, England. 3 His favorite songs are "Please Please Me" by The Beatles, "Hotel California" by Eagles, "You Don't Have To Say You Love Me" by Dusty Springfield, "Lucille" by Little Richard, "Hound Dog" by Elvis Presley, "The Rose" by Bette Midler, "Whole Lotta Shakin'" by Jerry Lee Lewis, "Angels" by Robbie Williams and "What'd I Say" by Ray Charles. (Source: BBC Radio 2 "Tracks of My Years"). 4 Leader of 1960s rock group Gerry and the Pacemakers, which included his brother Freddie Marsden. 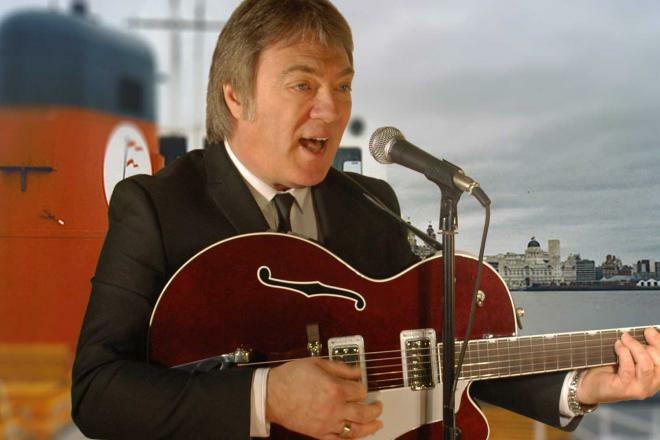 One Night in Istanbul 2014 writer: "Ferry Cross The Mersey"
Zodiac 2007 writer: "Don't Let The Sun Catch You Crying"
The British Invasion Returns 2000 Video writer: "Don't Let The Sun Catch You Crying", "Ferry Cross The Mersey"
Shindig! Presents British Invasion Vol. 1 1992 Video short writer: "Don't Let The Sun Catch You Crying"
Shindig! Presents British Invasion Vol. 2 1992 Video short writer: "Ferry Cross The Mersey"
The T.A.M.I. Show 1964 Documentary "It's Gonna Be Alright" / writer: "Don't Let the Sun Catch You Crying"
Ferry Cross the Mersey 1964 writer: "Ferry Cross The Mersey"